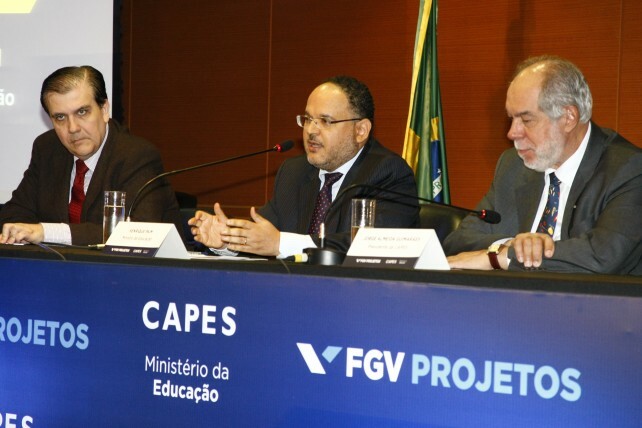 After the opening plenary session, with José Henrique Paim (Minister of Education), Jorge Almeida Guimarães (President of Capes) and Carlos Ivan Simonsen Leal (President of FGV), panels were dedicated to subjects such as “Innovations in education: quality, retention, access, and technology”; “Practices of Incentives, Free Schools and the private enterprise role”; “Virtual education”; “Quality in the elementary education”; “Access and retention in the Higher Education”; and “Recruitment, qualification and evaluation of teachers and school directors”. 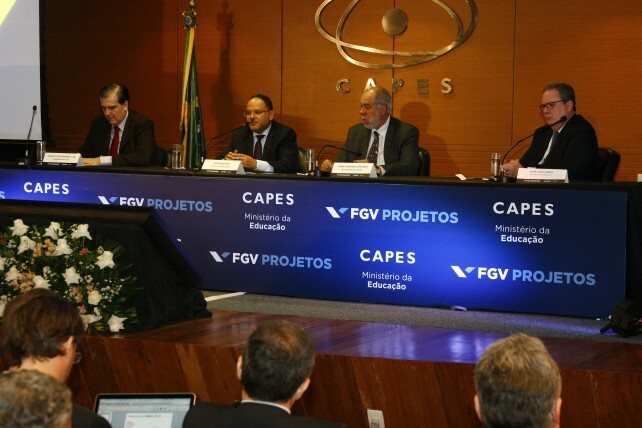 The lecturers were authorities such as Paulo Speller (secretary of Higher Education of the Department of Education), Maria Beatriz Luce (secretary of Elementary Education of the Department of Education) and Alvaro Prata (Secretary of Technological Development and Innovation of the Department of Science, Technology and Innovation). 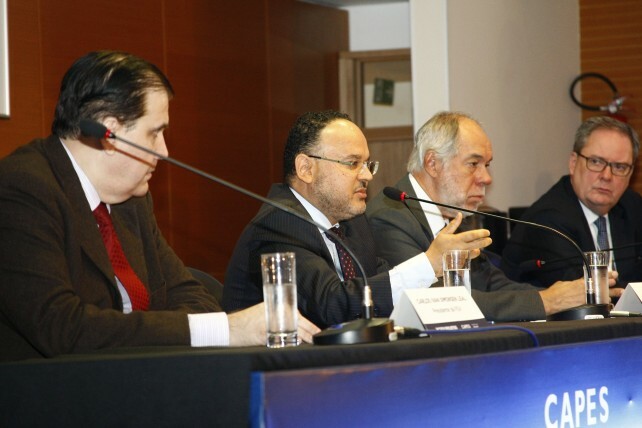 Representatives of the supporting organizations and FGV and international institutions specialists also attended the forum, such as Romeu Caputo (President of FNDE); StavrosXanthopoylos (Vice-Director of IDE/FGV); Antonio Freitas (Pro-Dean of Education, Research and Graduate Studies of FGV); Fernando Blumenschein (projects coordinator of FGV Projetos); Mila Molina (projects manager of Fundação Lemann); Flávia Goulart (projects manager of Fundação Lemann); Fernando Veloso (IBRE/FGV); Aloisio Araujo (EPGE/FGV); Eric Bettinger (Stanford University), Brian Jacob (University of Michigan), Susan Dynarski (University of Michigan); Gustavo Bobonis (University of Toronto); Claudio Ferraz (PUC-Rio) and Cynthia Paes de Carvalho (PUC-Rio). 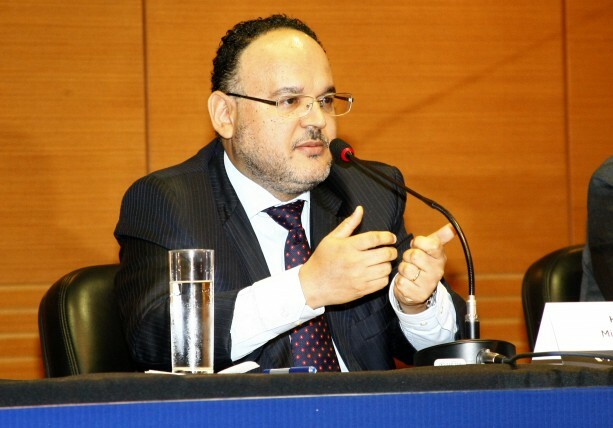 The audience of the seminar was formed by managers and decision-makers of the public policies associated to education; technicians of the public agencies associated to the subject (specially MEC (Department of Education) and MCTI (Department of Science, Technology and Innovation); managers of private institutions, foundations and other non-governmental organizations.